Indexing is a freelance career that many people overlook. It is not a very well known form of work, so most people find that they need to research this career option before they can commit to it. To help interested freelancers with their investigations we have compiled some basic answers to frequently asked questions about freelance indexing. 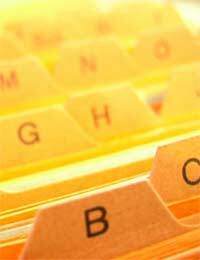 Indexing is the process by which information in an entity (book, journal, database, etc.) is teased out and arranged systematically. This arrangement tends to look like a list and is called an index. Indexes are arranged alphabetically by entries and tells researchers where to find specific information about a particular topic. In books, indexes are usually found at the end and provide page numbers for where information on a particular topic can be found. Those who do indexing on a per project basis are freelance indexers. What Does Freelance Indexing Work Entail? Freelance indexing requires an indexer to look at the final proofs of a book (that is, the pages as they will be published) and construct an index for the book. This is usually done by reading the book, coming up with the terms that will become the entries in the index, and then making a list of each reference to these terms that appear in the book. When this rough index is finished, an indexer usually formats it as required, proofreads it and then turns it over to the author, publisher or packager. Who Can Become An Indexer? Anyone can become an indexer, though it helps if a person has training or certification in indexing. Very often librarians complete indexing work because their library science classes often include training in indexing. In the UK, The Society of Indexers (www.indexers.org.uk) offers training and workshops that lead to a qualification with the Society. This qualification marks indexers as being professional and accredited and can be a great help when looking for freelance indexing work for clients both at home and abroad. How Do Indexers Find Freelance Work? Indexing work tends to come from one of three sources: authors who have agreed to provide an index and are now outsourcing this work, publishers who require indexers either in house or on a freelance basis and/or book packagers who hire freelancers to index their products. Cold calling or sending in letters of introduction to publishers and packagers is one way to get freelance indexing work. Answering or placing ads online is another. Indexers accredited with The Society of Indexers can also have their names placed in their Indexers Available directory. However, freelance indexing tends to be a profession in which reputation and recommendations mean a great deal so gaining both of these in a wide variety of professional networks can be very helpful for a freelance indexer. Is There Money To Be Made With Freelance Indexing? Like most freelancers, indexers charge for their services and can set their own rates. However, industry standards do apply. Some freelancers prefer to charge per hour and some per project. Some have different rates depending upon if they are working for an author, publisher or packager. To find out more about freelance indexing, including competitive rates, potential freelancers should discuss the business with working indexers to find out if this might be a viable career for them.